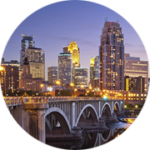 Join Minnesota Recruiters for our Spring Recruiting Conference! We’re hosting a premier 1/2 day event on March 3rd, 2016 at the Best Buy’s World Headquarters in Richfield – and will be featuring 2 international speakers, including Jennifer McClure and James E. Wright. Attendees will learn proven approaches to becoming a more influential professional, how to build credibility with hiring teams, and strategies to attract and hire the right talent. There will also be tremendous networking opportunities with other human resources and talent acquisition professionals throughout the region and prize drawings! 10:45 – 11:45: The Challenge Ahead for Recruiters is Clear — Which Path Will you Choose? Jennifer McClure is a sought after speaker and business advisor who combines her expertise as a Business Leader, Human Resources Executive, Executive Recruiter and Executive Coach with practical strategies to help leaders increase their impact, grow their influence and deliver results in their careers and in their organizations. 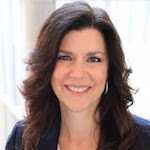 Consistently rated as a top Speaker at major events and conferences, Jennifer’s engaging and entertaining style is a mix of inspiration, how-to, and strategic discussion drawing upon over 25 years of studying best practices and partnering with senior executives to attract, recruit and retain the best talent for their teams. Jennifer has spoken at over 250 industry-related conferences and corporate events, where she has delivered keynote presentations or led workshops in the areas of leadership, talent strategies, effective communication and personal development. Originally from Cleveland, Tennessee, Jennifer lives in Cincinnati, Ohio with her son Andy, 2 faithful feline companions Sammy and Abby, and one fat and happy horse – Sarabi. Previously managing NBCUniversal’s Talent Acquisition Pipeline Development and the 2012 Diversity Director of The Staffing Management Association of Southern California (SMA), James Wright has a track record of delivering practical, repeatable roadmaps for increasing Diversity in global corporations such as NBCUniversal, Time Warner (AOL), Pepco Holdings, Inc., Verizon / MCI, and respected industry organizations. 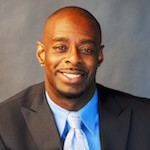 James is a dynamic and compelling speaker selected by The Society for Human Resource Management (SHRM) to be a Presenter at the four most recent National Diversity & Inclusion Conferences based on his expertise in Diversity & Inclusion. He created JamesWantsToKnowYou.com and Career Essentials, two key business strategies developed to drive social media networking initiatives to attract top candidates. He has also been named by Careerealism as an ‘Approved Career Expert.’ In addition, James manages online content for the Global Diversity and Inclusion in the Workplace group comprised of over 18,000 members. James attended Erskine College in SC & The Catholic University of America in Washington DC. Additionally, he is the proud father to one Miniature Long Haired Dachshund named Dexter. With 20 years of human resources and talent acquisition leadership experience, Jason Buss is a recognized expert with deep experience in identifying, recruiting and hiring high-performing teams. He is the head of global talent acquisition and diversity for New Relic. Jason is also the founder of the Recruiters Network, and serves as the president and community leader for several of the nations largest and most active regional recruiting communities including Minnesota Recruiters, California Recruiters, Florida Recruiters, Wisconsin Recruiters, and Oregon Recruiters. He has authored and published content in, and has been quoted by leading organizations including The Huffington Post, Fast Company, Bloomberg, MarketWatch, Glassdoor, the Society for Human Resource Management, and more. You can connect with Jason on LinkedIn, Twitter, or Facebook. In an evolving society where the workforce and customer base has changed significantly and will continue to shift, it is essential for organizations to understand and demonstrate the impact of Unconscious Bias on organizational behavior, employee productivity and engagement and economic potential. All of this begins in the recruiting process, and with interview teams who may be allowing their Unconscious Biases to impact their hiring decisions. During this interactive learning experience, new skills will be gained in decision-making, building inclusive teams and cultures, intercultural communications, and increasing employee engagement that helps identify and address the bias in HR recruiting processes. Examine their background and identity so that they can interact more authentically with candidates, coworkers, customers, and the community. Explore how the brain functions so that they can recognize Unconscious Bias as a natural function of the human mind. Expose patterns of Unconscious Bias so that they can navigate their impact on decision-making. Confront their own biases so that they can practice conscious awareness. Discuss strategies and walk away with tools that will help create systemic change throughout the organization. We all know the truth. Recruiting is NOT going to get easier in 2016, and competition for top talent is only increasing. But with great challenges create great opportunities. As we face this uncertain future, whether or not our organizations succeed in recruiting and retaining the talent needed will depend upon the choices that we make. Today’s recruiters and talent acquisition leaders are much like Neo in The Matrix – faced with a choice between the comfort and reliability of the known (“best practices and current beliefs), or the potentially harsh and difficult path of the unknown (creativity and innovation). In this session, Jennifer will try and attempt to free your mind by sharing creative ideas, strategies and examples from progressive companies and recruiters that are blazing the trail into the future. Then, she’ll show you the door, and you can choose whether or not you’ll walk through it. Please note space is limited for this event, tickets are available on a first-come, first-serve basis. Consistent with all events, registration is non-refundable however may be transferred to a peer or colleague should a conflict arise.